As the essential cornerstone of the Brilliant Future Campaign, the extraordinary $60 million Science Center will transform and elevate the experience of every North Central student. 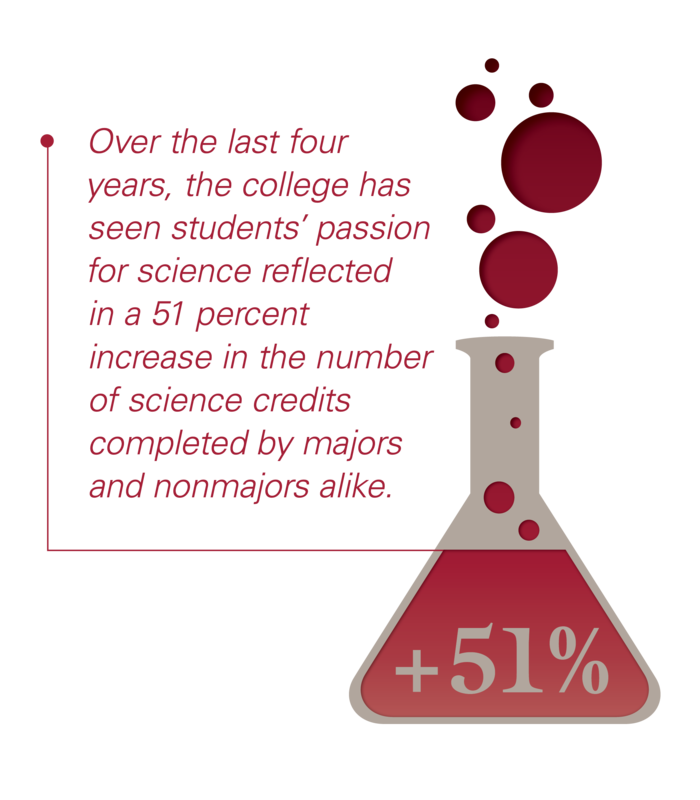 Here students of all majors will learn science by doing it—and prepare for success by living it. In 1970, when Kroehler Science Center opened, science was taught much differently than today. Today we need far more lab space for independent student research, as well as flexible learning spaces where lectures and labs can meld seamlessly. Plus, 45 years ago the College was one-third its present size. No wonder we’ve outgrown our facilities! 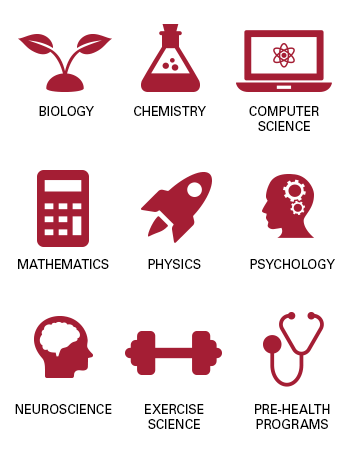 For the first time in the College's history, our biology, chemistry, computer science, neuroscience, mathematics, physics, psychology, exercise science and pre-health disciplines will be housed under one roof. Centralizing the entire North Central science division in one large facility will break down barriers that have traditionally isolated academic departments and inhibited the free exchange of ideas. By carefully positioning learning spaces near faculty offices and public gathering areas, we'll ensure a constant and fluid exchange of ideas between students and faculty—among all disciplines. Students of all majors will routinely stop by the Science Center, thanks to thoughtful site selection and interior design. Whether they want to have a quick snack, meet other students for team projects, or just take a shortcut from the residence halls to the library, students will see science demonstrated at every turn—through lab windows, in halls lined with displays and white boards, in the rain garden outside, and more. Giving nonscience students plenty of opportunities to appreciate “science on display” is one more way the building will enrich the culture of the entire College community. Extending North Central’s academic core to Chicago Avenue, this new landmark’s contemporary, open design will elevate the campus’s profile in the immediate community and beyond. Beyond serving the students of tomorrow, the Center will be a resource for the area’s teachers, families and greater community. From businesses seeking the best-trained interns and employees to industries needing access to cutting-edge research, the facility promises to have a profound impact for generations to come. The Science Center encourages interdisciplinary learning and discovery not only by housing all scientific disciplines under one roof, but also by serving as a valuable resource for all academic departments and the entire campus community. "The Next Great American Scientists Will Not Graduate From Harvard"
The following article by North Central College President Emeritus Harold R. Wilde was originally published by Zocalo Public Square on June 16, 2015, was syndicated to numerous outlets and appeared on the website of Time magazine. You may already know about the College’s legacy of scientific advances and adventures. That tradition lives on today. A Q&A with Professor Jeffrey Bjorklund, Ph.D.
Jeffrey Bjorklund, Ph.D., professor of chemistry, has been helping oversee the design of the new Science Center, ensuring the building will meet the needs of students and faculty for generations to come. For more than six generations, our faculty have helped new students grow into mature scholars and emerge from North Central equipped to change the world as scientists, physicians, educators, entrepreneurs and more.